Today is the 23rd of December – the final days of 2018 are coming to a close. I’ve been bouncing between the sound studio where the final touches are being done to THE CHRIST SLAYER. Our director will be coming in to work the final mix after Christmas. Speaking of – we’ve had one of three family Christmas gatherings. Yesterday we enjoyed a good meal and opened presents with my brother’s young ones. We had a good time and from there I went to a yearly holiday dinner at The English Inn, a cool turn of the century manor house turned into a restaurant. Prime rib was my choice as I only eat red meat a handful of times a year. I felt a little sluggish this morning likely due to the Guinness beer added on top, but it was a nice holiday treat with old friends. Today will be spent getting things around for the other two Christmas gatherings. I will be stoking on the fire in the office stove, trying out my new boiling vessel to make mulled spice wine. I do love that we got a powder of snow which makes it all so much more pretty. Some journeys will be finishing up, such as The Christ Slayer and new journeys lie ahead. I’ll start talking to our investors about our new film projects. LOST HEART which has distribution lined up will be setting up for a spring shoot. We’ve been looking at cast and directors. 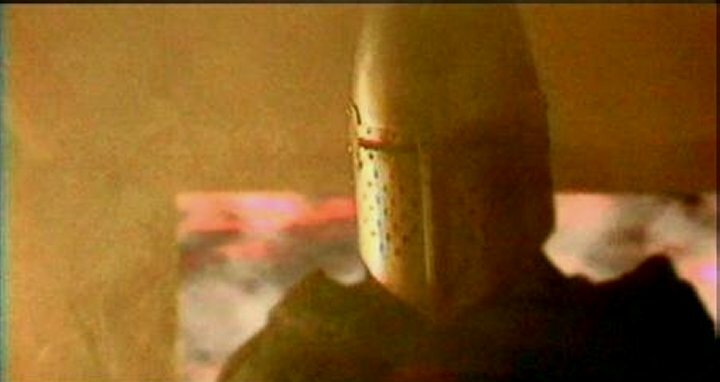 Also some moves are being made on the much-anticipated sequel to CDI’s 1st film KNIGHT CHILLS. We’ve been reading new possible leads and discussing the script. Lots to set up before we would shoot this one but good development taking place. More on this soon. Also this year I want to package the original 4 CDI films into a DVD collection (Knight Chills, From Venus, Heaven’s Neighbors, Figure in the Forest) – the early years. Put BTS and interview material on there. Maybe do a few educational retrospectives. Because they were filmed in standard def many of these are having a hard time finding new distribution. We’ll see. Merchandise is another 2019 goal – I want to see more of this. We might be pulling together the backers for this endeavor. Representation – I have had several regional agents in the beginning. I’ve had CA/LA agents both large and small. In the recent years I’ve just rolled with legal and handled my own business. I cannot help but think that more could be done with the right representation. I will explore this more in the new year. I’m excited to get back in front of the cameras. This year wide audiences will get to enjoy Jesus (again) in THE CHRIST SLAYER, Ben Lily in WILD FAITH and Paul Landings in MBF. Speaking on MBF – we’re looking to release a BTS piece created by David Gries, directed by Mel Anschutz and shot my Graham Turner during our shoot. We’ll release either Christmas Eve or Day, maybe sooner:) The film’s first edit should be close to being complete. We’ll do a fine edit in the new year. I’ve said it before but in advance on part 3 of The Quest Trilogy (The Christ Slayer) releasing, I would ask you all to watch Forty Nights and Chasing the Star. They are an excellent watch for the holiday season. I’m going to fire up the creative engines and get to making new art. I do hope to be approached for participation in new creative acting endeavors. This might be the year RACHEL, RIFLE, FAMINE and a few other films launch. I also plan to produce 2-3 films this year with CDI. What I’m meant to do, I will. Work hard and have faith in your path. I’m going to get back to finishing up things here. My new furry boy Finn helped me rack the new GRAPE APE wine this past week. We had a little early sampling on our Viking Day this week. It’s our day of friendship and wood chopping. SKOL. I hope each and every one of you has a wonderful Christmas. Let the spirit fill you and be good to one another. Keep some of this holiday cheer and carry it through the year with you. Allow others to have their opinions. Listen as much as you speak. Look for unity with your fellow citizens. Minus the humidity this has felt like fall. My hazelnut coffee welcomes me and football (GO MSU) is all over the TV. This past week I helped my mother move into her new condo and today a good part of our bathroom remodel will be complete. I did not get my script work done this week that I wanted to but that will change. It looks like we are moving forward strongly with our 2nd biblical film in our series with Lightworx Distribution, “Chasing the Star“. Our funds are committed and so this development process will move ahead once I finish that 1st draft to get to key members. We will again be filming in the Yuma, AZ area. We also are closing in on our final financial commits for “Wild Faith,” our last CDI film of 2015. It will shoot in Michigan and is being distributed under our deal with Lightworx Entertainment. I’m excited to do one more film before the holidays. Let’s look at a few other updates! “Ashes of Eden” is prepping for its 2016 release and we may have a few more theatrical showings leading up to the release. “Bestseller” will be doing an event showing on Nov. 1st in Owosso, Michigan at the Wrought Iron Grill. More will follow before the spring national release. 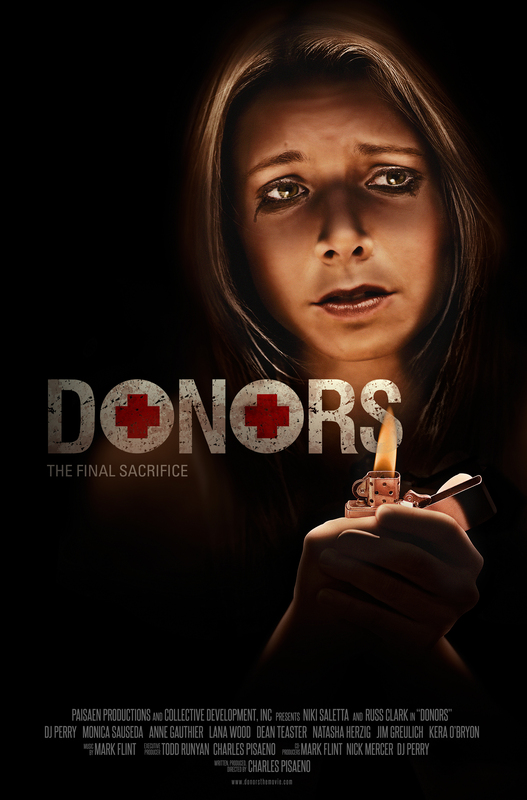 “Donors” will also be releasing nationally in the spring. “40 Nights” sound design and ADR/dialog work is coming along great! We hope to have a premiere in December before Christmas. April 1st is the worldwide release date for the film to home video. The initial response from retailers has been great. Casting calls for both “Chasing the Star” and “Wild Faith” can be found on IMDB casting. This process is well underway and we have seen some great talent. We will be announcing a once a month CDI movie night that will be at Sanctuary Spirits in Grand Ledge, MI. 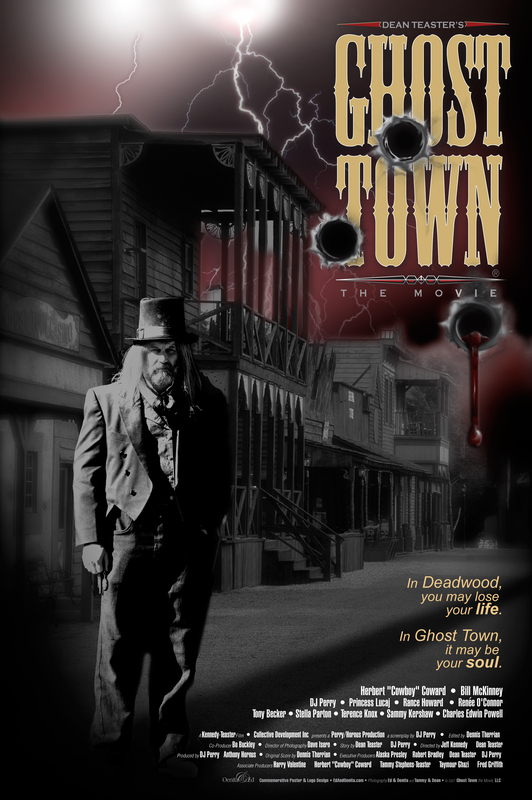 We will be kicking off this month I believe on Sept 24th with the smoky Mountain western “Dean Teaster’s Ghost Town” on the big screen. “Knight Chills” the book and movie combo will be coming together for a winter release. This is all to get things ready for the production of “Knight Chills II” with shoot dates TBD. I’m reviewing a deal now for our soundtracks to become available for purchase and I’m excited to have them in my collection. We have had so much good business flowing and we are streamlining and preparing for a great 2016. I’ve got a few studio/network acting products coming together as many of you know. Just keep working smart and good things will come. Keep clawing your way to the middle! I’ve had a great week both personal and professional. The Thanksgiving family time is past us and now the Christmas tree is up. While not yet decorated it has been a welcome sight each day. The tree will become the fuel of the transformation fire (Fire pit) that will help burn up the winter clutter once spring arrives. I’ve been gathering gifts for family since I will be gone the week before Christmas week. I’ll be in Nevada playing space cowboy in the Valley of Fire. I was informed that as a young child I went there and even saw a few old photos yesterday. I look forward to gathering with these artists and performing with a few actors I admire and have not yet worked directly with. I’m ready save my packing so soon it will be time to shoot in the WASTELAND. 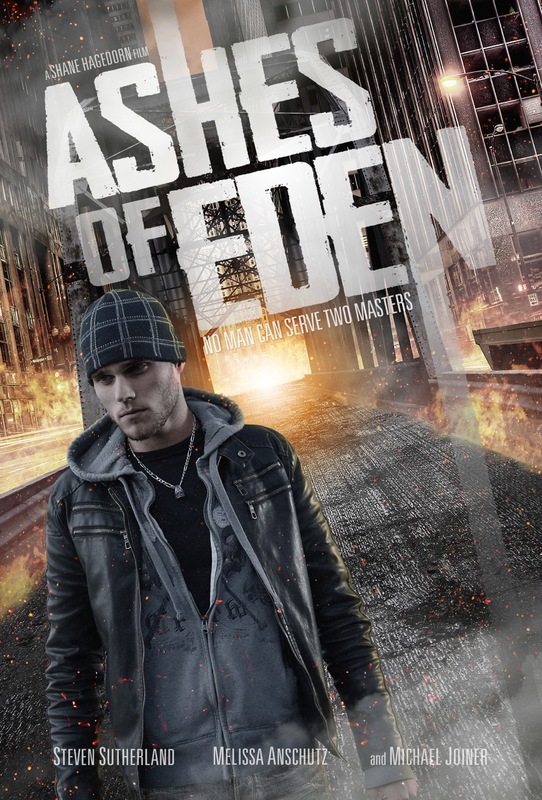 ASHES OF EDEN – Feel free to read a great review of the film. More of these will be releasing leading up to the 2015 national release. I have a goof vocabulary but I had to look up the word they associated with my name. I thought it might mean “Loud and Opinionated” Ha! But I was happy to see that it meant “marked by outstanding strength and vigor of body, mind or spirit.” So please do take a read on the review and we will be getting the film on the market and out to you very soon. WICKED SPRING – produced under Lionheart Filmworks when that was our southern sister company. The companies split ways a handful of years ago and now “Wicked Spring” is under the CDI banner and is getting a 2015 spring special edition release. Also on BluRay! We will see a 2015 re-release of KNIGHT CHILLS with a novelization release. Likely fall 2015. Also work on a sequel script has begun. HEAVEN’S NEIGHBORS and FIGURE IN THE FOREST rights are back at home here at CDI and a domestic release set up will also happen. “Figure in the Forest” can be seen on TBN and Parables TV. BESTSELLER – Early look at FX work is very exciting! I know music work is in full swing. We are looking at a 1st test showing of this film early in 2015. We are getting some early interest from distributors. It is going to be another film that proudly showcases Michigan filmmaking at its finest. I have a few co-starring/supporting roles in THE TERRORIST & DEAD QUIET and make appearances in DIVISION 19 and SMALL TOWN SANTA (Released now). Several VERY exciting projects are in development some with partial funding. We’re hard at work with some script work and prep that will lead to more production in 2015! My last advice pulled from recent events. ALWAYS, ALWAYS give more by way of effort than what you are paid for. NEVER be one of the people who does just the absolute minimum. Maybe at some boring desk job but in an industry that moves on passion you never want to be seen as just a functional piece. Your passion is what makes you an artistic contributor. It is what will get you re-hired. A great example taken from BESTSELLER film shoot. I like to ninja about and just observe people at work. I came up to the grip truck one day to find our key grip Paul Burt busy organizing. Most people were just trying to stay warm and get the shots as this was a wet, cold day on a remote dirt road. I watched him move and arrange. Wipe down and clean C stands and such. When I revealed myself to his surprise – I was met with a smile and asked if I needed anything. My response – “I need an entire crew with an attitude like yours.” I said, hot coffee was ready and he explained that he would go up in a few minutes. This was HIS responsibility. HIS grip truck for this shoot and HE wanted to make sure it was clean and orderly because it was a reflection on him. WOW! I want people like that on our team. That is a reflection of us as a company. That is a reflection of us as an industry. Character is what you are when you think nobody is looking. Pride starts with yourself and extends outward like a pebble thrown in water. Paul Burt’s phone will ring again. Will yours? With only so many people making narrative features and with the way producers get referrals on performance. How many times can someone give just the bare minimum before one of your peers with passion takes that hire away from you? Let me answer that for you – not many. This goes for actors. This goes for vendors. I’ve had companies mad because I continued to get my gear over the years from LOWING LIGHT & GRIP. I even had a trash talking vendor from Detroit once ask how she could steal my business. Her choice of words alone made me say, NEVER. David (Lowing) was there when I first stepped up to fight monsters in IN THE WOODS. He has always been there for me. Like I said about cast/crew, he always gave more goods or service than the dollar amount on the check. That intangible is where loyalty lives. The actor who gives every ounce of themselves – I immediately think of Melissa Anschultz freezing in a warehouse under rain machines while filming “7 Stones”. I already spoke about Paul Bert and David Lowing as examples of crew and vendors. If you desire loyalty from people you better give them a reason. I know people out there get mad (of course at someone else) if they get passed over. We know sometimes it’s just a casting thing or a key crew position that was already in play – but look at yourselves. Are you respectful to those above and below you? Do you give your best effort, always? Do you spread positive energy in your wake? Would you be an example for others to follow? If you can’t answer YES to all of these your time could be limited or your advancement may stall. Stand accountable and watch your career and life experience amazing growth. A week ago I was waking up early in Kalamazoo to return from our 15th anniversary showing and deal announcement on IN THE WOODS. I have a few more public events coming up soon. I do plan to attend the showing of STANDING POST that was done by one of my long time collaborators and features three actors I respect. I’m also happy that the crowd surrounding the East Lansing Film Festival will get a chance to see ASHES OF EDEN and also get some exciting news for the film. I am happy that this inspirational film will reach even more people. LOCKED IN A ROOM thrilled some folks in Canton last week and I got some great communications from fans watching stuff on VOD. On TV as I type is the making of John Carpenters HALLOWEEN. 21 days and 325,000 with Donald’s pay being 25k. I’m enjoying seeing how much fun those actors had making that little film that would be a king classic in the genre. It was also slammed hard when it first came out. John said much of it was from other artsy filmmakers unhappy they could not get the exposure and release they felt they deserved. This past week had some of my people working hard to get things in order on BESTSELLER. We are planning time for the director and DP to come in and share ideas. I think we are growing close to a finished film on THE TERRORIST. We only have a few left in the pipeline. Which brings us to DEVELOPMENT. I’ve got WASTELAND ahead of me this December and we launched the Facebook site where we will be featuring updates in cast, artwork and props. I’ve had some great meetings with a few people over the last couple weeks as CDI looks to increase the army. I look for smart, positive people with passion and willing to work hard. I’ve built everything in this industry I have brick by brick with few if any handouts. I found other like-minded people and together we faced battles – won some, lost some and moved forward. As our sales team has been licensing films in the library we have been looking at franchising a few of the films. It is no secret that Lynn Drzick is interested in doing another IN THE WOODS. If the right script is agreed upon it may happen. Also VP of CDI, director Jeff Kennedy and I have had talks over KNIGHT CHILLS and we do have a rough idea of a follow-up. I may be paid to write a script that I’ve had in my head for many years for an associate this November. Discussions on several scripts that already have distributor interest and in some cases guarantees continues. On some of these smaller scope projects I’m looking at upcoming filmmakers who have yet to reach an international level. I’m looking at people who don’t want to do this as a hobby but as a career path. Many of these people have personal ideas/scripts that can be enjoyable for a small pocket of fans but often does not lead to bigger things. While some are content with making films for fun many in the cast or crew have greater aspirations. It’s a stairs step process to get to these levels of film success. By success I mean having a title that has sold tens of thousands plus units or is in rotation on TV networks or available in different countries. Once you start to take steps if others around you aren’t willing to do the same you sometimes have to distance yourself creatively for a while. Maybe just until they evolve to that next level. If you’ve done a string of quality projects and have started to frame yourself as a professional you cannot slip back. By you saying NO, you may be one of many that helps them evolve. This is hard when you know the people but if they are doing it for fun and you are building a career – conflict of interest. I’ve explained to a few friends in the field (not truly in the BIZ) I cannot just come play for fun. I spend that time on paid projects or developing paid projects. When you win as a producer you win for many artists. When a film breaks out into the international market the resume of all those artists increases. I don’t always feel that some artists, usually the young, fully appreciates this fact. The wages may be modest, the hours long but to have a credit on a film that really gets into the marketplace is so valuable. So take pride in your work and be happy that you are working on something that will help you. If you start out in our field just for the money you’re in the wrong field. There is good money to be made but it comes in time through hard, collaborative work. For the last few years I’ve been gone on set shooting during October so this has been wonderful to be home. Like I said earlier, I would rather spend time developing and finishing projects of quality versus just doing to do projects that are just fun. I do things for fun (Reading, soccer, archery, guitar, brewing) and I often find filmmaking fun BUT since I am accountable and use investment versus donations – I take my work very serious. I’ve been in development talks with Shane Hagedorn (ASHES OF EDEN) and we plan to do a 2015 film. Add in the handful of other projects developing and the new year could be filled with exciting projects. I look forward to incorporating some new people into the tribe. I look forward to working with my tried and true. I look forward to sharing our stories with fans around the world. Right now, I’m looking forward to some more coffee, some breakfast and MSU putting a whoop on U of M.
Have a great weekend and be good to one another. A beautiful fall day to be sure. After a stretch of perfect days that included a day trip to Hartwick Pines – we got to see the logging museum. Interesting to see how people lived and worked in the 1800’s as lumberjacks in Michigan. Talk about some hard-working individuals. Since that trip we’ve had some rain causing the dogs to want to den inside. I’ve been bouncing between winterizing duties and film work. Sometimes both happening at the same time – thank you bluetooth zen:) Our last harvest of beans and tomatoes was gathered this past week. The eggplant and sweet potatoes are all that remain in the garden – WAIT! I take that back. And hops. I will use them in some winter beer that I plan to make. Speaking of – I bottled up the Tropic Thunder (Banana & Coconut wine) and now have plans to make a batch of Berry/Hard Cider this week. I’ve also been putting some attention on a few script properties of mine. Some folks are likely not aware that I’ve done quite well with my scriptwriting. I’ve got a good stock of scripts that I’ve written over the years. I’ve written in many genres and really enjoy the overall process of creating. I’ve been paid to turn several books into screenplays and other scripts are originals. Some I’ve seen produced and others have been sold off to third parties. Which ones do you sell DJ? Good question. If I don’t see them as an acting vehicle they are often open game to sell. Some require a larger budget and will provide me with a good vehicle later so I’ve kept those on the down low. I’ve recently been letting a few be read here and there and that has led to a few option/buy offers – which at this time, I denied. A couple of my scripts I really know how I want to see them executed on-screen. Those I’ve held back to be worked with later. Anyway, more business is developing from the script side of things and so I’ve decided to finish up a half-dozen or so scripts that I’ve still got in process. ASHES OF EDEN will play at 2014 East Lansing Film Festival. I was involved in the early days of the ELFF. Earlier this year we were approached at the Capital City Film Festival after we had sold out and asked if we were submitting to ELFF. I’m not a huge festival person but I surely do owe Susan Woods, their festival founder, for such great past networking. A good example is Taylor Nichols (Boiler Room) who we just had act in BESTSELLER. I met him back in 1999 and just last year was my first time working with Taylor. So long short is we accepted and we’re proud to be bringing one of the most exciting local projects back home and to my alumni campus. GO MSU! We will be making an announcement at the festival concerning the film’s national release. Also we might have a few foreign release announcements. I’m very proud because this film used many artists from our local Lansing area. Your work will be seen internationally. Other Collective Development Inc. associated projects underway include the thriller BESTSELLER. The film is now having music composed by the talented Dennis Therrian. I’m appreciative of the fan support this film has had already. I can promise a tense nail-biting story. We’ve already had some great professional comments about the film trailer thus far. Once again, this film will also find a great distribution sprawl thanks to all the artists involved on both sides of the camera. Other big news includes a new CDI Associated project called “Wasteland, Tales From the Desert” that will shoot Part 1 this December. The film is a series of woven stories all set on a harsh alien world. I’ve signed on to co-star/co-produce in the film. With the spotlight on me I’ve been able to showcase several great actors to the director that I’ve worked with on past projects. (Good reason to keep your reels up to date) Pre-production work is well underway. I’m excited to be shooting in the Valley of Fire State Park in AZ. CDI has already been involved in a few films shot in AZ. I also co-starred in a Las Vegas film a few years back and so that is helping. Bottom line. I’m excited to go play space cowboy for a few in December. 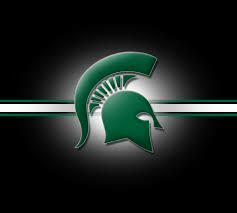 Have a great Saturday and go MSU! I’m sitting on the couch with the pack (dogs) and sipping the morning java. I have soccer on the TV as I send around the morning emails locking down some casting on our upcoming thriller “Bestseller”. Advice for young filmmakers and for actors. First working a schedule around an actor on lower budget is a kiss of death. When working with limited funds you MUST work the schedule that is best for your production. Only a very experienced crew can make a few adjustments to schedule and it better be for a good reason. Talent that sells you in a certain territory is a good reason but you still have to be so careful. OK. Other end of the spectrum is talent. Now if you are trying to make a career in film and are not yet established giving hard limits on your schedule availability is a fast way to being replaced. I do understand that some people have BIG life events and those things should come first and so accept the consequences. I’ve had aspiring actors miss out on roles because they couldn’t miss a day of class (film). That is funny because I know as someone who went to college (MSU) that class could be skipped for any number of reasons and seldom had any real redeeming reason save friends, beer, girls. Another actor may have a conflict with a play and again nothing against that but you have to know where your career path lies. So don’t expect a production to move all around your best schedule because what is best for you might not be best for a film. The film’s needs must come first. I had a great chat this morning with an actor friend who has had quite the career and that is Mr. Terence Knox. Terry and I have done a couple of films together, “An Ordinary Killer,” “Ghost Town,” and “Deadly Renovations” and we may add another to that mix. I know I’ve spoken about mentors before but they really are so important to have. I’ve been blessed to have many starting with my own father who was and still is my first mentor. As I get older I use more and more of his lessons. I had another great talk with Rance Howard this week who is another mentor and dear friend of mine. He is always the N. star of good movie business advice. I’m happy to give an advanced announcement that it looks like he and I will be working together again here soon. I’ve been asked to saddle up and star in another western. Rance will be playing my grandfather in the film and together we are supposed to go shoot some camera tests and promotional shots in New Mexico this December. I’m looking forward to a return to the genre and to working with old friends. For those loving the season of fall like myself I did a promotional push on a “Triple Dose of Terror” highlighting “Locked in a Room,” “Deadly Renovations” and “Darkest Night”. I want to thank Robert Gwinn for the promotional artwork I truly appreciate it. I know that “Donors” is almost complete and I saw a great new cut of “The Terrorist” formerly “Benjamin”. I’m excited about both of these projects. Speaking of the horror films feel free to check out some of the older ones like “GPS,” “The 8th Plague,” or “Blood Ties”. If you are braver still you can go back even further to our micro-budget “Knight Chills” and “From Venus”. Everyone starts somewhere and these were some of the building stones upon my path. “Ashes of Eden” has been undergoing sound design and composing while Shane and I look at numerous drop songs for the soundtrack. The premiere has been put into hold until we know when the film will be finished. Everything is a negotiation and I will not show some “work in progress”. We all want to show the finished film at its BEST! The trailer is exciting folks and we might have some exciting news once we do get to a premiere. A handful of years after filming in Costa Rica the TV show “Supermodel Showdown, Costa Rican Adventure” has some real legs. The first three shows are done and being looked at by several interested distribution parties. I don’t want to jinx anything but I do think you will see this zany adventure on the small screen sometime in 2014. Staying with the TV theme I’ve been getting my feet wet with development on another TV series. It is funny how lots of talk on development is leaning in that direction. I think with cable making better and better film properties and the continued rise of reality TV – CDI will continue to develop some TV properties. Yesterday between some prepping and packing we made a stop at the local zoo which was a nice side trip. Today we are having the mom’s over and some family to enjoy some pork loin roast in the smoker with apple glaze and apple chips. Tomorrow a breakfast with my father and after that I’m ready to go tell this next story. What a great team of artists being brought together to participate in storytelling. I’m blessed to be able to do what I love for a living and give thanks every day. It wasn’t always so and I know the struggles many of you have out there following dreams. You might as well keep chipping away at it until you reveal what was meant to be within. 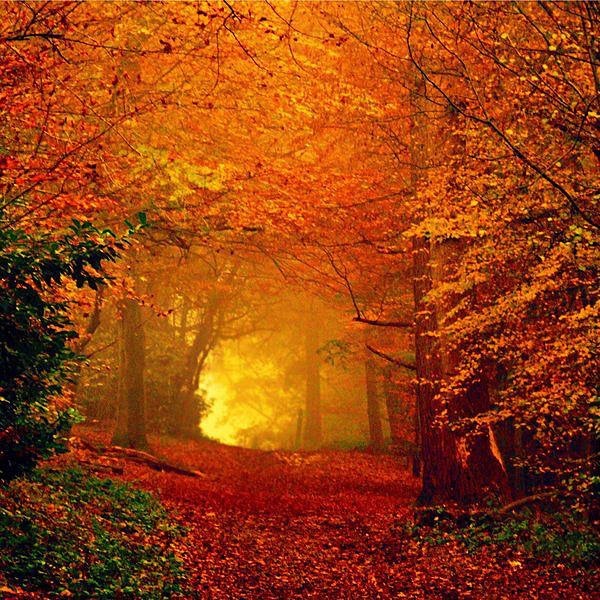 Let me see – the people who have tried the new AUTUMN AMBER beer have really enjoyed it. Nice complex flavors and has a nice little kick to it. More of the wine has been shared and some great comments from people. I wanted to do another batch of hard cider but we will see. Maybe something upon my return in a few weeks. Some time was spent freezing some tomatoes and last night some wonderful venison steak fajitas. It will soon be time to perhaps restock the venison. Today we will be enjoying pork from our 4H purchase. Okay, I’m off to get some stuff done around the house and I hope you all have a great Saturday.